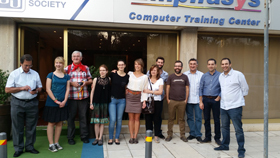 Net Media Lab of the Institute of Informatics and Telecommunications of N.C.S.R. 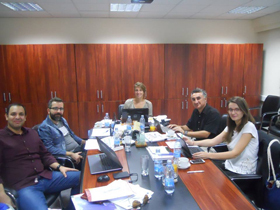 “Demokritos” participated in the 4th and last meeting of the GRANKIT project before its completion at the end of December 2015. 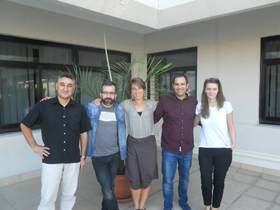 The meeting took place at the University of Nicosia on Thursday 15 October 2015 and at Emphasys Center the following day. All pending issues for the successful completion of the project were discussed and clarified and the work carried out so far was presented by each partner. 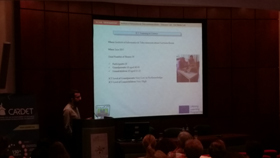 In addition our laboratory participated in the International Conference of the project (8th Innovative Learning Environments conference “Social Networks and Intergenerational Learning”), which took place at the University of Nicosia in Cyprus on Saturday 17 October 2017 were we presented the results of the ICTtraining in Greece to an audience of approximately 100 people, mostly educators and students.